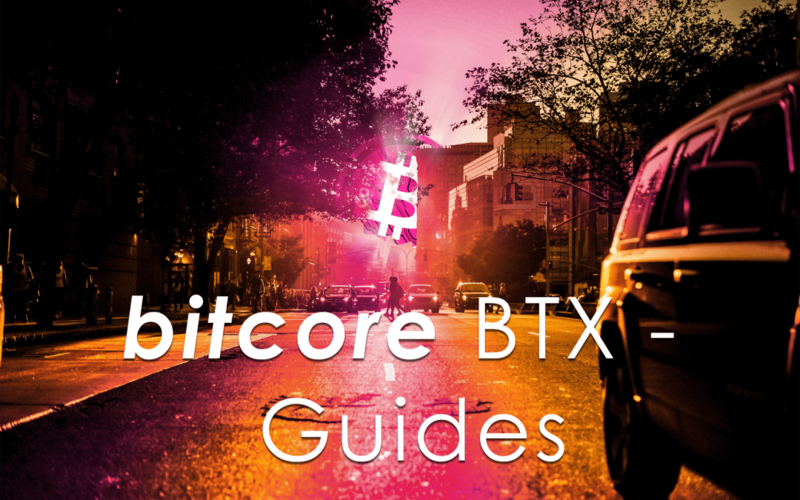 In our efforts to make Bitcore as easily accessible as possible for everyone, we created several step-by-step guides. Also have a look at our youtube channel where we post guides and tutorials on a regular basis. I did not receive my airdrop, why? I registered and have over the amount needed for the Airdrop. I moved it from Cryptopia to my Bitcore wallet like instructed and registered my address in the airdrop registration website, but looked and still have the same amount i put in there. 2)does my computer need to be on and the wallet open for the airdrop to happen? 3) how do i claim my airdrop if I was on the snapshot? Please check the coin control guide. Your coins are very likely to be in some unregistered change address. Your computer does not need to be online during the airdrop. Awesome, thank you. I believe I am set now. where is the tuto for ledger ? what’s possible use ledger wallet with btx ? is eligible too airdrop too? in your tuto see just trezor ? and what’s possible send via trezor to btx qt ? if trezor can not support BTX ?? You will receive +6% on the balance you have in your registered address. For more details, please check out FAQ. Do you have to submit your bitcore address each time or does it just do it automatically? You only have to register your address once. Make sure to check our coin control guides and have all your funds on your registered address. That might be the reason in my case too. But in this manual you mention, that it currently onl works with the bitcore core wallet…I registered it with my coinomi wallet and I still get the airdrop for my initial amount of coins, but not for all coins. The feature not to create a new address for every transaction is available in this wallet too, but it wasn´t activated yet. One method to make sure to receive your airdrop is to send all your coins to a registered address within your coinomi wallet. is anything wrong with your airdrop registration site??? I try since an hour to registred myself to your airdrop, but always I got this error message “Error: BTX public key (your address) or signed message not valid”!!! Im quite sure that I followed the discription how to do it. Please give me an adwise whats wrong!! Sometimes the site may be offline or not working for a short period of time. It should be working fine again now. One more question, do I need to type “AIRDROP” in the second line??? So far I understood not??? I’ve registered less then a month ago but still didn’t get my airdrop coins. did I’ve missed a step ? Note : My BiteCore Core, didn’t finished downloading the Blockchain. Is your chain now fully downloaded? If so, your correct BTX funds should be displayed, including your airdrop coins. I am having problems receiving Air Drops. I have down loaded the wallet, followed all instructions by “enabling coin control features”, checking “custom change address” then inputting my Air Drop address! Do I need to keep my wallet open on Mondays?